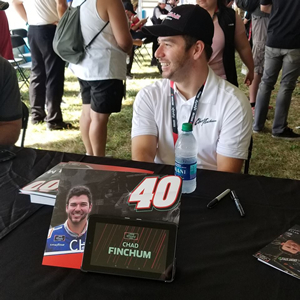 Lexington, Ohio (08/11/18) - Chad Finchum made his debut at Mid-Ohio Sports Car Course over the weekend in his MBM Motorsports #40 Smithbilt Homes Toyota Camry. Despite battling issues during the practice sessions as well as a last-lap spin in the 75-lap affair, Finchum crossed the finish line in the 29th position. "We went out early in the first practice, and it gave me a chance to get my first laps around the this huge road course. Unfortunately we had some mechanical issues that sidelined us early," Finchum said. "We qualified 36th fastest and had a good run despite getting into a curb late in the race, which sent us into the grass." Finchum also had to endure extreme heat inside his racecar. "With about 40 laps to go the connector on the air conditioning hose fell off and it got real hot in the race car. The bottom line thought is that we showed improvement from Watkins Glen, and that was the overall plan. We'll now head to Bristol and look for a great run in front of a lot of friends and family at one of my favorite tracks." The Rock N Roll Tequila 170 at Mid Ohio Sports Car Course saw Chad start 36th on the grid on the sprawling roll course. 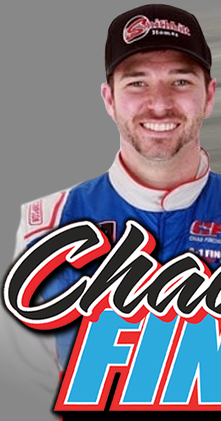 Chad would reach as high as the 25th position before bending a tie rod after hard contact with a curb. He would battle in the Top 30, and even though he got into the grass on the final lap he still recorded a 29th-place finish.